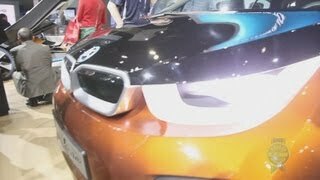 BMW broke the ice today by unveiling details of its all-new i3 Concept Coupe. 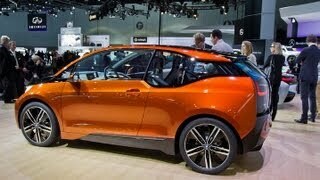 The 2-Door i3 Concept Coupe is first ever all-electric model from BMW. 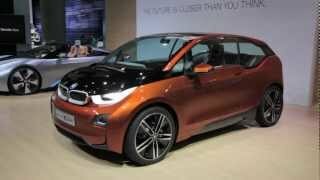 The concept features a body fully made from carbon fibre and has a wheelbase similar to that of the 5-door i3. The electric drive-train produces a decent 170hp and a max torque of 184 lb-ft. 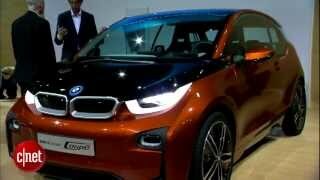 This electric drive gives the i3 Concept Coupe ability to sprint from 0 to 100 km/h in just 8 seconds. On a full charge, the car can travel upto 100 miles. Using a standard power socket, the car's battery can be charged fully in 6 hours. 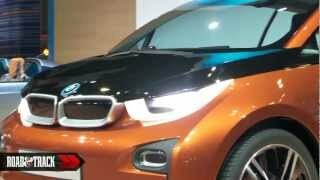 The BMW i3 Concept Coupe will be presented at the 2012 LA Auto show and the BMW i3 5-door model is expected to hit markets next year following by coupe thereafter.